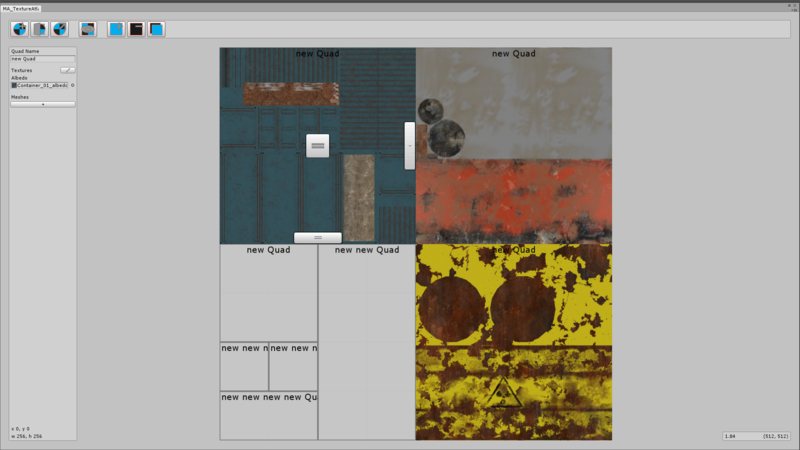 A Unity editor extension for creating texture atlases. By having full control over the size and position of the textures that are being placed in the atlas you will never stand for surprises when exporting. This will cost some more time than auto-generating your texture atlases but you know whats going on and which models/textures are getting priority.